Untitled. 1927. Oil on canvas. Signed and dated, lower center. 47 1/2" x 29 1/2" (120.7 x 74.9 cm). 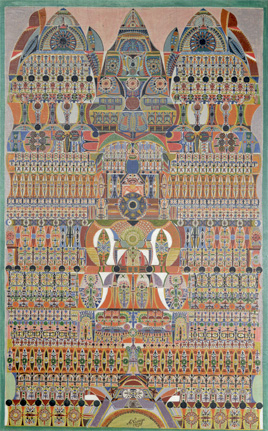 Reproduced in the catalogue Augustin Lesage 1876-1954, page 91, no. 25, pl. 57.